Moxtra enables users to collect any type of digital content, access remote files on desktops, personalize content with voice, and share content publicly on social media or collaborate selectively – all in one app. Keeping in mind the needs of managing and organizing a dream wedding, Moxtra has come up with an App that addresses this need. The user can collect the ideas and share them with friends, family and professional wedding planner. Whether you’re planning your own wedding or you’ve hired a professional wedding planner, Moxtra Binders can help manage, organize and deliver that dream wedding. Collect all of your essential planning checklists, timelines and budgets into a binder so you can keep track of everything from one place–the Moxtra Binder. Invite your planning assistants, vendors, and family to your binder to share ideas and collaborate on big decisions from bridal gown designs to reception hall themes and menu selections. Feel the comfort of having all your planning content in one place with you to reference, wherever you go. 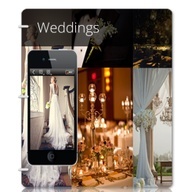 · Collect and organize wedding check lists in your binder. · Track schedules and expenses–all in one place. · Clip and collect wedding imagery from various websites. · Easily record your voice to express thoughts and also share your voice comments with friends via a Moxtra Note. 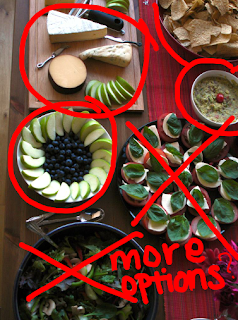 · Meet in real-time with vendors, dress designers, caterers. · If other members to your binders make updates, these can be viewed like a Facebook newsfeed. · Any member of your binder can start a Moxtra Meet, allowing invitees to view pages in the binder from any browser within a real-time web meeting. Users can also record their voice and annotations on top of files to create a video story or conduct a real-time meeting to present documents, photos, video or music via VoIP. The Moxtra Content Collaboration Platform is quickly becoming the platform of choice for applications to extend collaboration capabilities to their end-users. Moxtra is currently integrated with Facebook, YouTube, Dropbox, Box, Evernote, Salesforce.com and Kaffeine. Download the FREE Moxtra Binder App today. The Moxtra App is now available for free from the App Store for iPad and iPhone or at https://itunes.apple.com/us/app/moxtra-your-binder-shareselectively/id590571587?ls=1&mt=8.